Paediatric Dentistry is the specialty that provides comprehensive oral health care for children from birth to adolescence. Managing a child on the dental chair is the specialized task which requires scientifically proven techniques. At FDOC we have a panel of pedodontist ( dentist who specialize in treating children ). These dentist motivates the child by behavior management skills thus eliminating the fear of dental treatment from the child’s mind. Pain control is important in children. Anxiety heightens the pain response. In FDOC we offer treatment under local or general anaesthesia, in a child friendly environment. 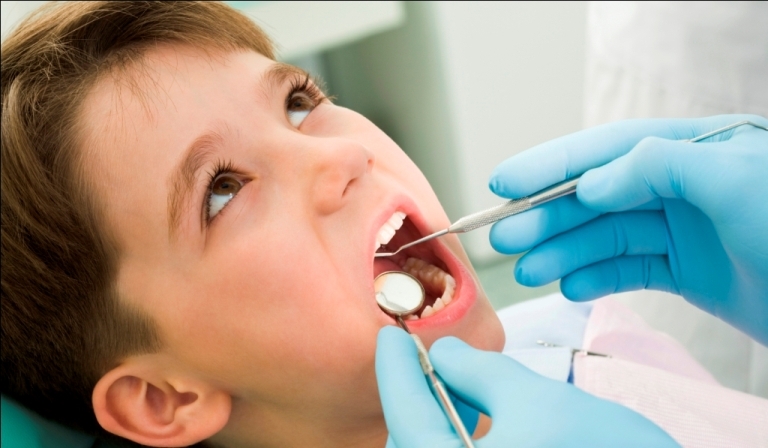 Local anaesthesia is administered wisely by the trained pedodontist so that your child has the minimum pain . Slow anaesthetic delivery technique by our pedodontist will reduce the sudden stretching of tissues and pain.We do not use any fear-provoking equipment like bulky syringes for children. Thus making the overall experience more pleasant & comfortable for them.Our pedodontist also specialize in performing the single seating pulpectomy procedure followed by a cap for your children.